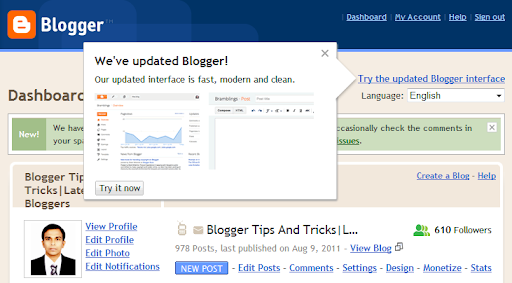 Before about 2 months Blogger announced that their new interface is available for all Blogger in Draft users. But now it is available for all Blogger users(both http://www.blogger.com/ and http://draft.blogger.com/). 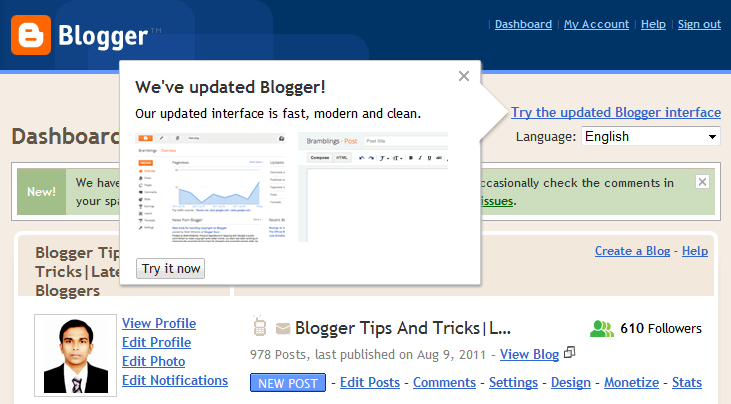 simply go to your Blogger account and click on "Try the updated Blogger interface " link to enable Blogger new interface. If you want you can switch back to the Blogger old interface again. Blogger is very cool with new interface.. It is good but it has some problem when i updated more than 50 posts per day it is not publishing and not even saved in draft.